Teaching how to learn and learning by teaching. I have only done again in my own way what I have learned. I have not forgotten some of the officers from the military college in Naples where I studied and their different ways of treating the young undisciplined and conceited cadets; a metal worker, Eigil Winnje, taught me in his workshop in Oslo how the force of example and the pride in a job well done united a group of artisans; Jerzy Grotowski, in Opole, Poland, revealed to me that theater is not just a well-made show. When I was twenty, in the Gulf of Biscay, I learned in a few hours that one can go beyond one’s own limits. I had just embarked as a sailor on a Norwegian cargo ship, when we met a storm. The waves shook the floor under my feet. I started to vomit, the sea sickness was unbearable. Worn-out, I left the engine room and sought refuge in my berth. Suddenly it seemed that a mighty wave had thrown me up in the air. It was the officer on watch, a giant with a gentle face, who had lifted me up and was saying quietly: “Do you think you are on a cruise? Get back to work.” There on my knees, rolling and getting up again to the rhythm of the swell, for hours I cleaned the greasy metal floor of the engine room, also washing away the traces of my vomit. It was my actors who taught me to be a director. On their own bodies and thanks to their inadequacies and difficulties, their tenacity and the variety of solutions they discovered, I learned the practical skill of theatre craft with its arcane knowledge and Pindaric flights. The rhythm of growth was different for every actor, as was the type of relationship I had with each of them. There was no one method that fitted all. For my actors, behind my rigour, I felt a special mixture of love: gratitude and tenderness. Therefore I struggled to avoid their leaving me. I frequently had to change my habits, our group dynamics, the organizational and operational structure of the theater in order to accommodate their personal needs and artistic individualisms. These changes produced in all of us uncertainty and excitement, like a new beginning that revitalized the repetitiveness of our work. These “earthquakes,” these efforts to erase the routine of our micro-culture, are one of the factors behind Odin Teatret’s longevity. Even after they developed their wings, a core of actors remained; others, who flew towards different horizons, have felt the need to return to the “laboratory” we built together. If theatre is a floating island, it is the companions I have chosen, whom I have formed and who have formed me, that have determined its duration and its way of floating. Ultimately, it is a question of bonds of affection. Can this special mixture of love be a method to be taught? Each generation steps into theater as if entering a city that others have built: neighborhoods, suburbs, pedestrian precincts and one way streets, traffic regulations, parking and no parking zones, buildings, monuments and parks. Within this urban environment there are rules, conventions, ways of behaving and shortcuts that enable newcomers to get their bearings and to live. The city of the theater has a material culture of its own, a dense net of operational, economic and technical pathways. These pathways determine how the newcomers inhabit the city: with indifference or passion, with a feeling of exclusion, living quietly at its edges, collaborating with it, rebelling against it, improving it, refusing it or trying to rebuild it from scratch. These pathways are methods. Literally, they are roads that lead elsewhere. The methods are many and different. In the city of the theater there are roads that are dishonored and overcrowded, and honest, dull streets; new avenues about which people as yet have no opinion, and old narrow streets which are like rich heiresses that we might marry, unaware that they may be murderesses. There are streets that are always tidy, aristocratic boulevards, working class lanes and busy alleys of artisans. These roads — these methods — always originate in a milieu which conditions the way of thinking and acting of those who follow them. There are streets of ill repute where we are forced to live, and streets where we dream of making our home. How can one orient oneself in the urbanism of the theater that is the result of distant histories which do not belong to us? How can we transform it into an urbanism which belongs to our history and our deepest needs? Only at the end of our life can we know if we have followed the correct path — the unique method that belongs only to us. Then we will be able to reflect on the house we built, whether it is a theatre made of bricks and mortar whose empty hull will remain after our death, or whether it is a living environment with women and men with a unique profile, whose particular vital élan will be extinguished with their disappearance. In this urbanism — which we can accept, fight or ignore — there exists a value that cannot be explained in words. It surfaces silently at the end of our life when observing why, where and how we used the theatrical craftsmanship for years and years in a succession of changes animated by the same stubbornness and coherence. When we set out, many considered we were heading into a cul-de-sac. It is still so today. But for some people it has the appeal of a main road. This is what happened in 1964 when four young Norwegians, rejected by the theater school in Oslo, gathered around an Italian emigrant who wanted to be a director. We didn’t found Odin Teatret to oppose the existing tradition and its formal actors’ training, but because we didn't succeed in being admitted to it. We had no original ideas or experimental ambitions. We were certainly not revolutionaries. We only wanted to make theatre at whatever cost, and we were ready to pay out of our own pockets. Theatre was our raft. With our backs to the wall, we had the temerity — or impertinence — to make our own way. We called it “laboratory." It was the temerity of a moment which became permanent. I would say that it turned into an instinct. Can the instinct for temerity be transmitted? The theatre’s topography was simple at the beginning of the 60s: on the one side, theatre buildings whose architecture and actor-spectator relationship had not changed for centuries; on the other, authors’ texts interpreted by actors trained in drama schools. Now that we have succeeded, many people appreciate the road we found. They judge the results and forget the beginnings. Those young people with no experience and their director with no roof over his head, possessed neither originality nor talent — perhaps just a good dose of chutzpah, conceit and arrogance — when they began to prepare themselves to do theatre only through a variety of physical activities. How could a future actor make use of this blend of classical ballet, acrobatics, yoga positions and “plastic” exercises from the then unknown Grotowski theatre, risky “duels” with sticks that we had invented, and études inspired by Stanislavsky: pouring and drinking a cup of tea with no cup and no teapot? People — including myself — were perplexed and asked how it was possible to become sensitive interpreters of Sophocles or Chekhov by repeating these exercises for hours on end, segmenting them into phases and with different rhythms. Our auto-didacticism took the form of a dialogue with distant or dead masters. After a few years it became clear that the silent, endless exercises were a way of thinking with the whole body, washing away the utilitarian reflexes from our mind and fighting the movements and clichés of our private “spontaneity.” For the actors, training was the runway from which they took flight, borne by their own inner wind. For me, it was important to discover that training is not confined to a variety of exercises. This can work for a while. Then it turns into a creative wandering for the actor, a personal bricolage accompanied by surprise and ability to make a living organism grow. In the beginning it may be a simple organism: a brief scene. Then this organism becomes more and more complex with relationships, objects, texts, songs that the actor individually structures as work demonstrations, performances, pedagogic initiatives and artistic projects. 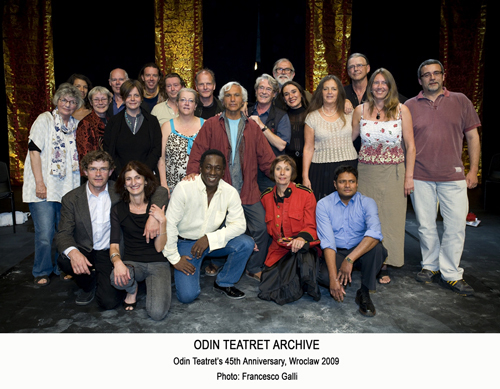 At Odin Teatret, training has been a way of becoming integrated into the specific culture of the group, with its history of actors from different countries without a common language among themselves or with their spectators. But training has also been a time for freedom for the individual actors and has accompanied them over the years, independently of the theatre’s productive priorities and the director’s interests. I noticed how this increasingly personal working path made the actors “take off.” I watched their bodies become transfigured during the rehearsals and the performances, illuminating dark corners of my life and my obsessions. One of these obsessions derived from my condition as an emigrant: how to live without sullying one’s own dignity and that of others. Another of my obsessions was history, the geography which surrounds us, where we find Guernica and Auschwitz, Hiroshima and Aleppo, discrimination and abuse of the weak. At the end of the 60s, my eyes were not only focused on the transformation of my actors. Rehearsing the performance Ferai, I thought about the body in flames of Jan Palach, the Czech university student, who in a corner of Wenceslav Square in Prague had set fire to himself in opposition to the Soviet invasion and the “demoralisation" of his fellow citizens. “Messages sent from the stake,” wrote Artaud speaking of actors. This is the ambition of theater people and the merciless reality of history. To burn: is this a way to oppose and maintain one’s own dignity in theater and in one’s own epoch? Is this an instinct that can be transmitted? Every theater group that is formed by the encounter of motivated people, secretes a poison: the unintentional repetition of its own knowledge and experiences. It is one of the causes of it’s disbanding after only a few years. Learning to learn — to discover that which we have never seen by following apparently useless, arid paths: long superfluous deviations, the alternation of frantic activity and stalemate, an excess of energy wasted in simple or childish tasks, going against nature by accepting that it is the problem that counts, not the solution. As a director, this has been my antidote against the poison that exhausts a theatre group. The knowledge accumulated becomes a fortress that allows us to face sieges and adversity. It is also a prison from which we cannot escape. What we know precedes our decisions. Then we use all our strength to knot sheets, to plait a rope to throw out of the window at night in an attempt to run away from the castle in which our experience has confined us. Learning to unlearn: it is the pleasure of old age. We travel not to change place, but to change our way of thinking and seeing. We only go far when we do not know where we are going. Can this not-knowing be taught? I like to make a performance grow like a landscape inhabited by serious and burlesque ghosts who have experienced extreme passions and death. I like to set in motion a process which engenders a wild growth, accumulation, profusion of contrasting elements, excrescences, detours, paths that disappear into the undergrowth. The result is a living landscape that speaks with discordant voices and whose genesis is in the biography, the imagination and the know-how of my actors. Then I like to erase it. I devise the most intricate subterfuges to provoke a storm which, wave after wave, dismantles the landscape and makes me see its ghosts, carriers of personal messages for a few spectators, myself included. During the rehearsals, at the height of the storm, I perceive their apparition. Then I feel an intense happiness just as when, suddenly, one becomes aware of being in love. Beyond their literal, metaphoric or arcane meaning, the details — like the words — have an aesthetic physicality, a seductive power, a voluptuous nature. The ghosts who inhabit the Odin performances are made of the substance of the details, tiny dynamisms, suggestions, transitions, breaks, silences, unusual inflections, elusive cadences, sudden accelerations. The performances are born from an indecipherable centripetal vitality that embraces and heals the shattered landscape which the actors and I cultivate with so much care and for so long. Each new performance advances cautiously reacting to the previous one. A feud between brothers and sisters. The same blood, the same genealogy, an endless clash between Eteocles and Polynices, Antigone and Ismene. There are always certain themes that return. Like ghosts. Not by chance, Ibsen’s “Ghosts” in Norwegian is called Gjengangere — those who return. Like in French, Les Revenants. All this is know-how imbued with personal superstitions. The deep sense of the choice to make theatre is different for each of us. It is also incommunicable. This incommunicability decides our visions, the technical procedures, the relationships, the way of directing a theatre, the gratifications and the aesthetic categories. Our zigzagging daily practice consolidates the mutual respect for this incommunicability. Can incommunicability be taught? Since its creation in 1964, Nordisk Teaterlaboratorium/Odin Teatret has developed three fields of action: artistic, pedagogic and research. These different activities were developed within separate areas of our laboratory, each with a specific designation: performances and courses under the name of Odin Teatret, ISTA — International School of Theatre Anthropology, University of Eurasian Theatre, Centre for Theatre Laboratory Studies, Odin Teatret Archives, Odin Teatret Film and Odin Teatret Publishing House. It goes without saying that their undertakings have constantly interacted. Within these fields of action further projects and initiatives unfolded - studies on gender in the Magdalena Project, the Transit Festival and the journal The Open Page — conferences, publications on the transmission of incorporated techniques and “tacit knowledge,” intercultural laboratories of actors’ practice and, above all, a range of activities in the community among which the Festuge, the Holstebro Festive Week, is worthy of note. These are activities in which artistic creation, didactics and social awareness mingle with research. This fertile and intermediary zone corresponds to what, in the natural sciences, is called applied research. In theater, pure research corresponds to the pursuit of basic principles. One approach consists in going back to the origins, scrutinizing deeply the first days of apprenticeship, and comparing and practically analyzing their different paths. This procedure is accompanied by naive questions that force us to look again at our own knowledge from another angle. Both pure research and applied research imply the growth of a milieu which enables us to test the effectiveness of the tools used in our practice. The milieu of artists and scholars that has grown up around our laboratory shares a common curiosity and commitment. The combination of theory and history, of practice and creative reflection is essential for the development of a theater culture, and it belongs to the methodological baggage of that pragmatic science — as Jerzy Grotowski called it — which can be applied in our work. I could describe in this way the various activities that our laboratory has carried out with the same nucleus of actors for over fifty years. The words correspond to the facts. Yet, when I read them, I feel uneasy. They are like a map that points out a road that does not yet exist and where the results seem to be guaranteed even before we have set out. Even worse, it sounds like a prescription. But theater is not medicine, theater is not abstraction, nor is it metaphor or poetry. Theater is a technique to make us see Life. Actors and spectators alike must see it with the eyes of their senses and of their memory. My craft reminds me of the work of the artisan in Ceylon, long ago, who painted the eyes of the statues of Buddha to be placed in the temples. It was the last detail to be completed. The eyes were the spark that turned the statue into an ardent sacred object. They had to be painted when the night turned pale: Prince Gautama had attained enlightenment and become Buddha at five o’clock in the morning. The artisan, in sumptuous cloths, adorned with jewels and with a sword in his belt, observed the monstrous face of the statue without eyes, without existence or inner light. It was his task to infuse it with Presence, Life and Truth. He climbed up a ladder in front of the statue, followed by an assistant who carried the brushes, the paints and a mirror of metal. The artisan dipped a brush in the paint while turning his back to the statue as though to shun it. The assistant, a step below, held up the mirror. The artisan lifted the brush above his left shoulder and painted one eye, then the other. He never looked directly at the face, but was guided by the reflection in the mirror. Only the mirror received the direct image of Buddha’s gaze in the process of being created. No human eyes should meet the gaze of Buddha at the very moment of attaining enlightenment and seeing. The task could take several hours or one minute. At times months or years. This has been my laboratory: painting eyes, so I may see and make others see. Avid to capture the secrets of the painters of eyes. I don’t know where this instinct comes from that pushes me to act thus, just as the instinct that pushes my actors to follow me remains a mystery for me. Is this the sanctity of fiction? Can these instincts be handed down? Time has diluted frontiers, categories, certainties in my senses and in my brain. I find myself in a landscape, in which I still like to bend down to look for traces that have escaped my interests and needs. I have explored this landscape for more than half a century and time has covered it with fine sand. 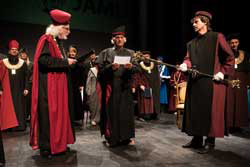 Speech by Eugenio Barba of thanks on the occasion of the Honorary Doctorate bestowed on Eugenio Barba by the Janacek Academy of Music and Performing Arts, 12 May 2017, Brno, Czech Republic. Reprinted with the permission of Eugenio Barba. Translated from Italian by Judy Barba. 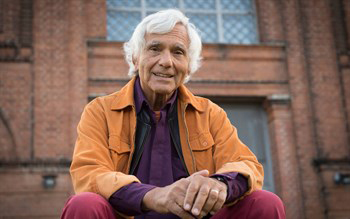 EUGENIO BARBA — Director, theorist & founder of Odin Teatret in Denmark, Mr. Barba was Jerzy Grotowski’s assistant for 3 years, and wrote the first book about him. 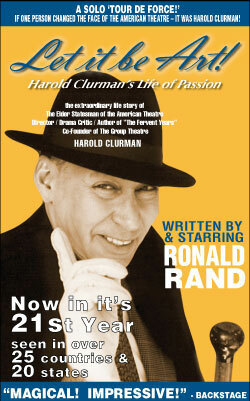 He has directed over seventy productions. 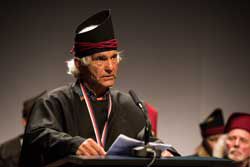 He founded ISTA – International School of Theatre Anthropology, and has written several books including: Beyond The Floating Islands; Land of Ashes and Diamonds: My Apprenticeship in Poland with 26 Letters from Jerzy Grotowski to Eugenio Barba; Theatre: Solitude, Craft, Revolt; On Dramaturgy and Directing: Burning the House; and A Dictionary of Theatre Anthropology with Nicola Savarese. 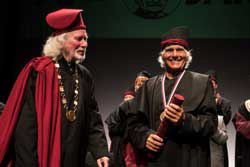 He has received numerous international awards and honorary doctorates.